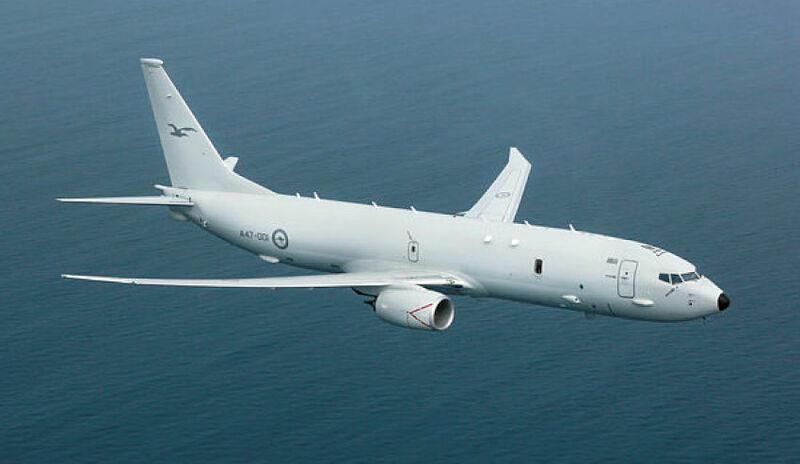 The New Zealand government has announced a $2.3 billion procurement of four Boeing P-8A Poseidon maritime patrol aircraft, which will boost interoperability with key regional partners, including Australia. New Zealand is responsible for patrol and rescue missions in an area of the Pacific Ocean bigger than Europe and plans to step up its engagement in the south Pacific, where it is losing sway over small island nations to China. In response to the rapidly ageing P-3 Orion fleet currently operated by New Zealand and currently being phased out by Australia, NZ Defence Minister Ron Mark announced a $2.3 billion deal that includes training systems, infrastructure and four of the Boeing maritime patrol and surveillance aircraft. "The purchase ensures the Defence Force can continue to deliver the country's maritime surveillance, resource protection, humanitarian and disaster response around New Zealand and across the south Pacific. It also means New Zealand will have 'interoperability' with other countries which use the P-8s, namely Australia, the UK and the US," Minister Mark said. Boeing's P-8A Poseidon is widely considered to be the world's most advanced anti-submarine warfare, maritime patrol and surveillance aircraft, and directly links New Zealand with it's Five Eye partners in Australia, Canada, the UK and US. New Zealand's new maritime patrol aircraft will continue to be operated by No.5 Squadron, which will be relocating to RNZAF Base Ohakea. New Zealand has been tipped as a likely operator for the P-8A, having been named as such 10 years ago by Boeing. Further aircraft interoperability between the RNZAF and its close allies the RAAF, RAF and USAF will likely provide greater opportunities for crew exchanges and joint training. The procurement of the new maritime patrol aircraft follows the recent announcement of the New Zealand government's new defence policy strategy, which has drawn the ire of China for identifying increasing concerns about Beijing's influencein the south Pacific and increased hostility toward neighbours with competing claims in the South China Sea. Costs for the project will be spread out until the 2025-26 financial year. The New Zealand government will also consider options for a complementary maritime surveillance capability during the forthcoming Defence Capability Plan review, due to be completed by the end of 2018. This will look at smaller manned aircraft, remotely piloted aircraft systems (RPAS) and satellites to support the P-8A fleet. One of Australia's own P-8A Poseidon aircraft has been taking part in the RIMPAC 2018 interoperability exercises in Hawaii, which has seen Australia, New Zealand, the US and other partner nations conduct a variety of operations ranging from humanitarian assistance and disaster response to maritime security operations and complex war fighting scenarios. Chief of Joint Operations, Air Marshal Mel Hupfeld identified the role Australia's P-8A played as part of the RIMPAC exercise and the lessons Australia can bring to New Zealand as it takes delivery of its own aircraft. “From amphibious warfighting exercises with our flagship HMAS Adelaide to the first ever Harpoon missile fired from an Australian P-8A Poseidon aircraft, RIMPAC is a real test of Australia’s maritime military capability," he said. The P-8 is an aircraft designed for long-range anti-submarine warfare; anti-surface warfare; and intelligence, surveillance and reconnaissance missions. It is capable of broad-area maritime and littoral operations. It is also effective at humanitarian and search and rescue missions. A derivative of the Next-Generation 737-800, the P-8 combines superior performance and reliability with an advanced mission system that ensures maximum interoperability in the future battle space.